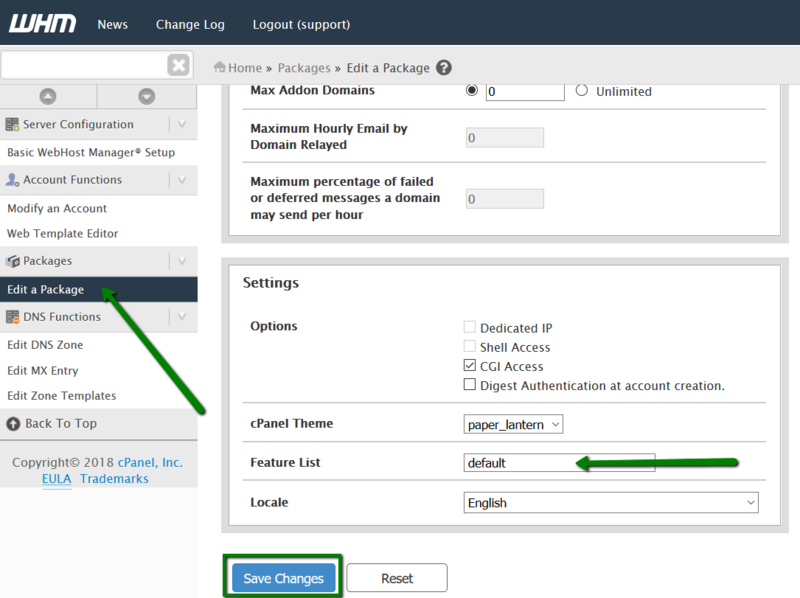 You can either create a new Feature list or edit the existing one by checking/unchecking boxes with corresponding features in the cPanel menu for accounts where the selected Feature list is applied. NOTE: It is recommended to configure a hosting package and feature list prior to creating a new cPanel account in WHM to simplify further cPanel accounts management process. NOTE: Reseller users don’t have access to the 'default' and 'disabled' feature lists, so several options are disabled for their custom created feature lists by default, and it is not possible to enable them. If you want to have full access to all cPanel/WHM features, you need to have root access to the server which is provided with VPS and Dedicated server plans. 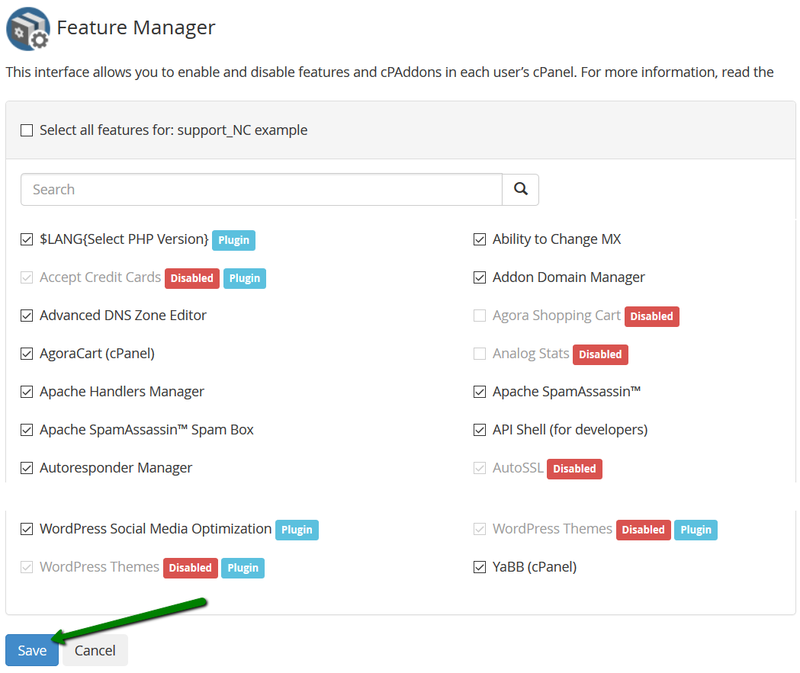 Now all the existing and new cPanel accounts with this package will have the feature list you need.